A sharply tailored tuxedo jacket which fastens to the front with a single metal hook and two front flap pockets. The clean lines and vertical seams lengthen the petite frame and add femininity and charm to a smart wardrobe essential. This petite white jacket maintains all of the sophistication of classic suiting. A contemporary approach to workwear, this collarless piece can be easily styled with all your classic separates, and is perfect for when the meeting room calls. Designed to fit slim through the body with flattering back darts, choose one size up for a more relaxed fit. To ensure this garment fits you perfectly, please refer to our size chart as our sizes may fit smaller than other UK brands. Our model is 5'3" (161cm tall) and is wearing a size 6. Model's measurements are Bust 32C, Waist 26', Hips 35'. 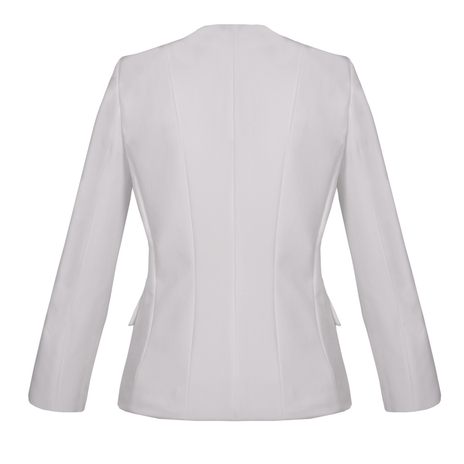 Petite jacket length from the highest point of the shoulder to hemline is 58 cm. Sleeve length is 56cm. COMMENTS : Really happy with this purchase. Sleeves are fitted perfectly and the length is just right for my short torso. The jacket is true to size and cuts off at my hips.. lower than shown in the picture. Fabric is lightweight and perfect for summer coverup in the office and with jeans. The perfect petite jacket that is bound go with everything. 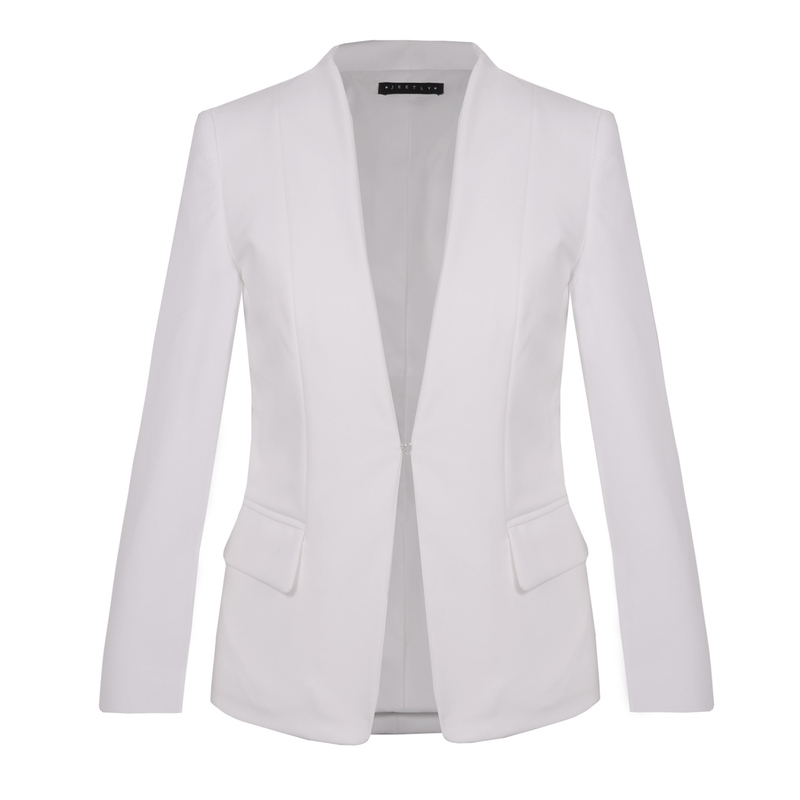 Versatile and flattering, worn done up over a dress or pencil skirt or loose over jeans for a more relaxed Friday look.